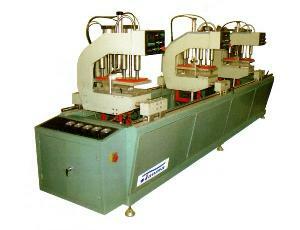 This machine is suit for welding colourful profile film, double color, spray etc. clean all the corner at one time and can control the size of welding seam, so make the corner good-looking, top grade, and the welding strength is higher than the original one. This machine strengthen the hardness of welding through control the pneumatic system especially in the melting, to ensure that welding hardness is the best.As clean the corner after welding.